Studio on Main - In the Heart of Alpine Helen and walkable to restaurants and attractions! Ritz on the Rocks - Amazing mountain top cabin Helen GA with truly breath taking views. 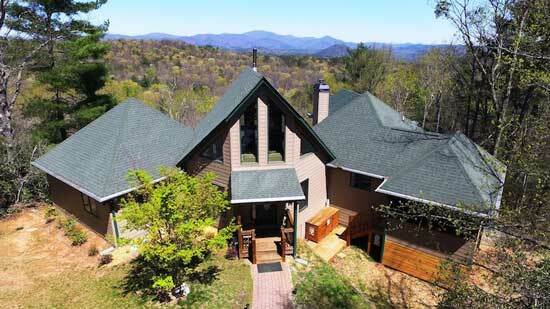 Bear Path - Secluded and serene, a vacation cabin rental with scenic mountain views. 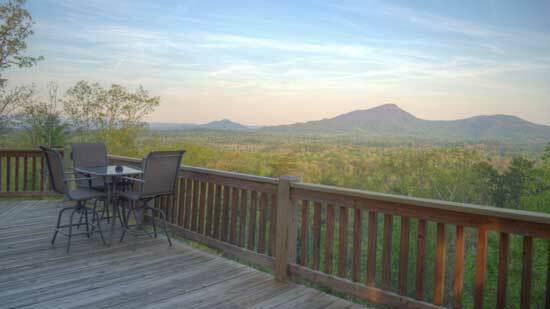 Our selection of approx 50 cabins in Helen Georgia are a peaceful utopia for millions of vacationers each year. The mountains provide an escape from the routines of everyday life and an opportunity to reconnect with yourself, your loved ones, and the beauty of nature. We invite you discover why so many fall in love with this beautiful mountain retreat! During your stay in our Helen GA cabins, you’ll discover why so many fall in love with this beautiful mountain retreat. Our wide collection of cozy rentals are exemplary for family vacations, romantic escapes, group retreats, and more! Unlike generic Helen GA hotels, our cabins in Helen Georgia provide all the homey amenities and privacy you desire in a memorable vacation. That's not even the best part! Our North Georgia cabin rentals are minutes from the beautiful Bavarian-themed village of Helen, GA. This quaint and charming town is the state's 3rd most visited city, and it's not difficult to see why! The abundance of attractions, shopping, dining, and outdoor adventures make it a one-of-a-kind destination. The town also stays true to its German-inspired roots with traditional architecture, quaint shops, cobblestone walkways, and plethora of fun-filled events. Once you arrive, you'll never want to leave! Whether you are looking for a panoramic mountain view, a romantic couples cabin, or a pet­-friendly mountain retreat, you'll find just what you're looking for with Pinnacle Cabin Rentals in Helen GA.
We also provide our guests with exclusive specials that allow you to enjoy more out of your vacation for less! 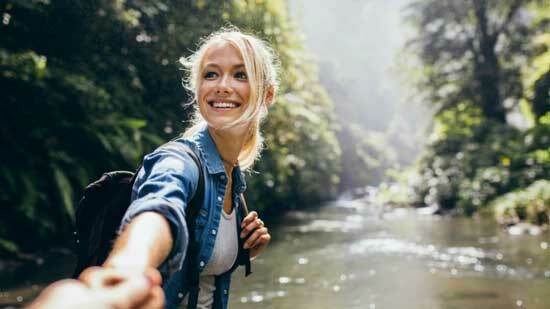 That way, you can have the vacation of your dreams without breaking the bank. We look forward to being your hosts! Feel free to browse all our Helen, Georgia accommodations or contact us today to book your reservation at one of our many Helen GA cabins. Get ahead of the crowds and have your trip planned before you even arrive by downloading a free copy of our Helen, GA Vacation Guide! The North Georgia region is well-known for its abundance of natural beauty and stunning waterfalls. While attractions like Anna Ruby Falls or Raven Cliff Falls usually get most the attention. Have a home in Helen, GA or considering buying? Let us help protect and nurture your investment. Chute the Hooch . . .